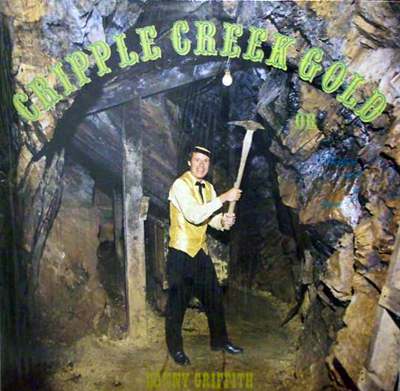 Listen to a sample of "Cripple Creek"
Steve Mackin interview conducted March 2012. Anyone who ever visited Cripple Creek from the mid 1960s to mid 1980s, specifically the Gold Bar Room at the Imperial Hotel, were entertained by the “King of Melodrama Pianists,” Danny Griffith. It’s estimated that Griffth performed in 3,000 melodramas, while at the hotel. Danny Griffith passed away in 1993, in Tucson, where he had been the regular performer at the Gaslight Theatre. He was 50 years old. He is buried in Cripple Creek. Listen To "Who's Going To Play This Piano"
The Gold Bar Room has recently remastered a few of Griffith's recordings, which are available for purchase here.